The results are in! 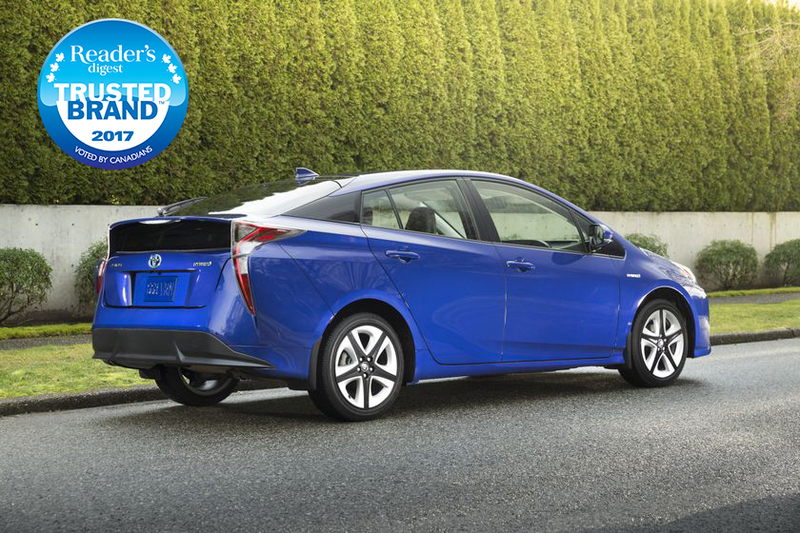 Toyota is once again Canada’s most trusted Hybrid manufacturer, for the 7th consecutive year. In an annual study conducted by Readers Digest, Canadians have also voted Toyota as the Most Trusted Brand™ for passenger car manufacturer for the ninth consecutive year – which is every year Readers Digest has undertaken the study! Environmentally conscious buyers are looking for new vehicles that allow them all the practically, function and fun of traditional gasoline-powered cars, but with less carbon footprint. In 2016 nearly 20,000 more Canadians switched to Hybrid vehicles! During this record-breaking sales year, Toyota was chosen the Most Trusted Brand of hybrid cars. By being chosen as a Most Trusted Brand™ for five or more consecutive years, Toyota holds onto their designation as a GOLD winner status from Readers Digest. We are thrilled to offer our buyers vehicles from the most trusted manufacturer in the country and we are honoured that you trust Richmond Hill Toyota with your vehicle needs.